Scientists have finally unlocked the sequence of the world's oldest surviving cancer — an 11,000-year-old, sexually-transmitted genital cancer that still affects dogs today. Scientists from the University of Cambridge and the Wellcome Trust Sanger Institute, led by Elizabeth Murchison, published the new research in Science. The cancer first arose in a single dog over 11,000 years ago, and has been passing around among dogs ever since, although scientists didn't know that when they first started out. They simply knew that it was a very old cancer. To get their first hints of its age, they pored through old veterinary literature, and were able to find records of it existing all the way back in 1810. But they suspected that it might actually be much older than 200 years old, so they turned to the genetic code for answers. While most cancers top out at around 5,000 mutations in their genome, this one had an incredible 1.9 million. Among those mutations was one that is known to mutate at a steady rate over time, so scientists were able to use it as a "molecular clock" to find the cancer's real age, dating back 11,000 years. So what's the story behind the cancer's amazing longevity? Scientists have pinned it down to two factors. The first factor is that the cancer is transmittable, which is extremely rare among cancers (only a couple exist), and gives this one the ability to spread rapidly through a population. 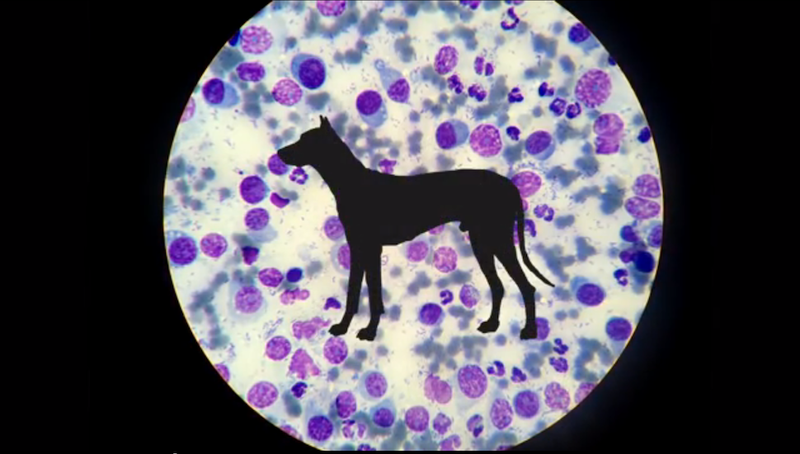 But the feature that really has the scientists interested is how impervious the cancer seems to have been to dogs' immune systems throughout the years, which they think may have something to do with one of the almost two million mutations throughout its genome. The next step, they say, is to try and learn more about them. Check out this video of the researchers explaining their process, or read the full paper here. Images and video: Wellcome Trust Sanger Institute.